Posted by jtintle in Space Fotos, Spacecraft. The deep floor of Hellas impact basin is often obscured by haze, but at times we get some clear views. There are some strange landforms down there, and this image is one example. 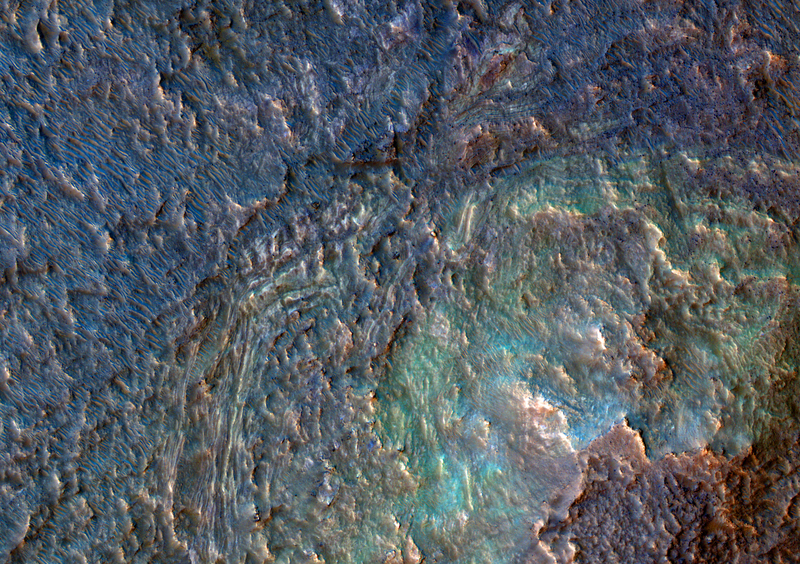 The image covers the rim region of a crater that appears filled in, perhaps by river sediment (the rim is breached by a channel). 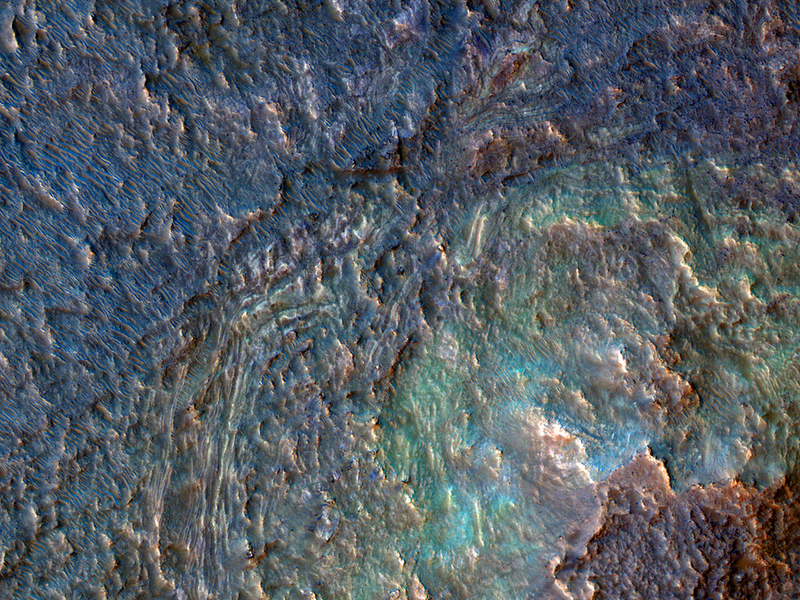 The colors (see enhanced color subimage) indicate that diverse minerals are present. This sharp view from the Thermal Emission Imaging System camera on NASA’s Mars Odyssey orbiter is centered on 154 kilometer (96 mile) wide Gale crater, near the martian equator. Within Gale, an impressive layered mountain rises about 5 kilometers (3 miles) above the crater floor. Layers and structures near its base are thought to have been formed in ancient times by water-carried sediments. 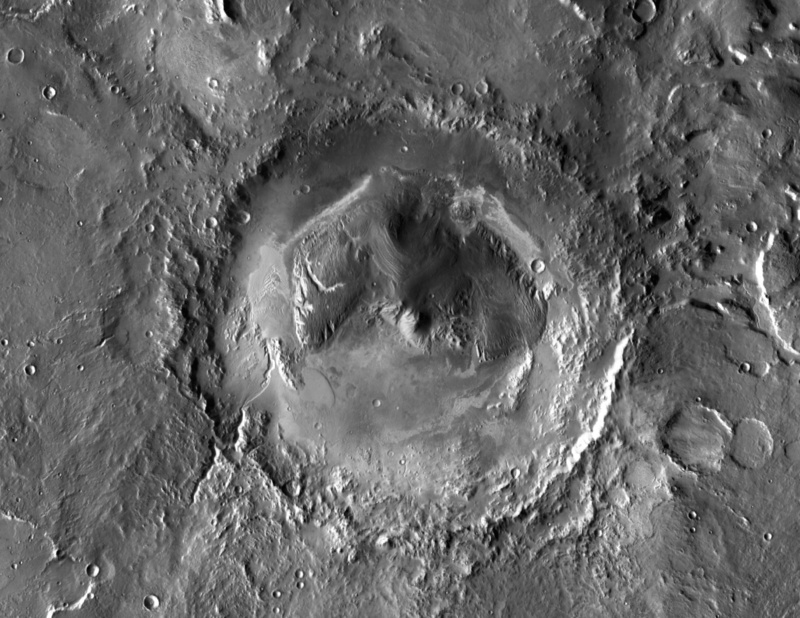 In fact, a spot near the crater’s northern side at the foot of the mountain has now been chosen as the target for the Mars Science Laboratory mission. 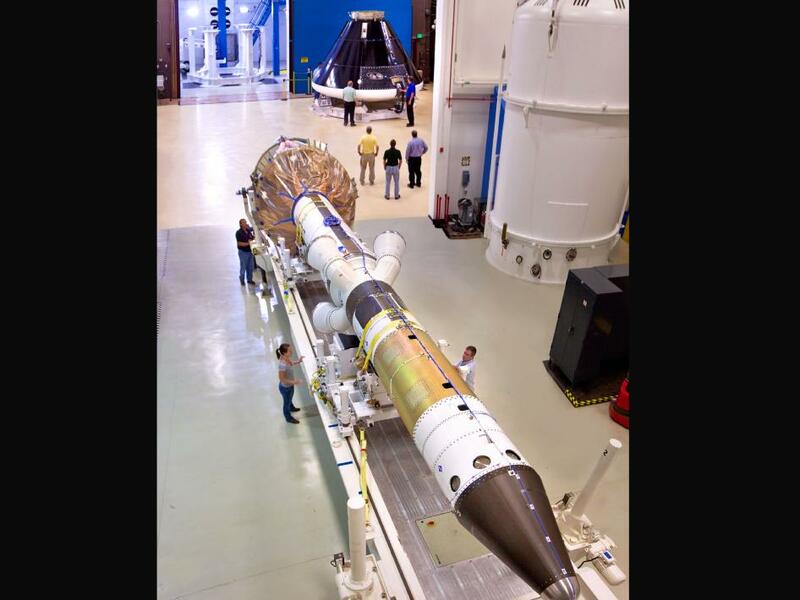 Scheduled for launch late this year, the mission will landMars’ next visitor from planet Earth in August of 2012, lowering the car-sized Curiosity rover to the martian surface with a hovering, rocket-powered skycrane. Curiosity’s science instruments are intended to discover if Gale once had favorable environmental conditions for supporting microbial life and for preserving clues about whether life ever existed on the Red Planet. 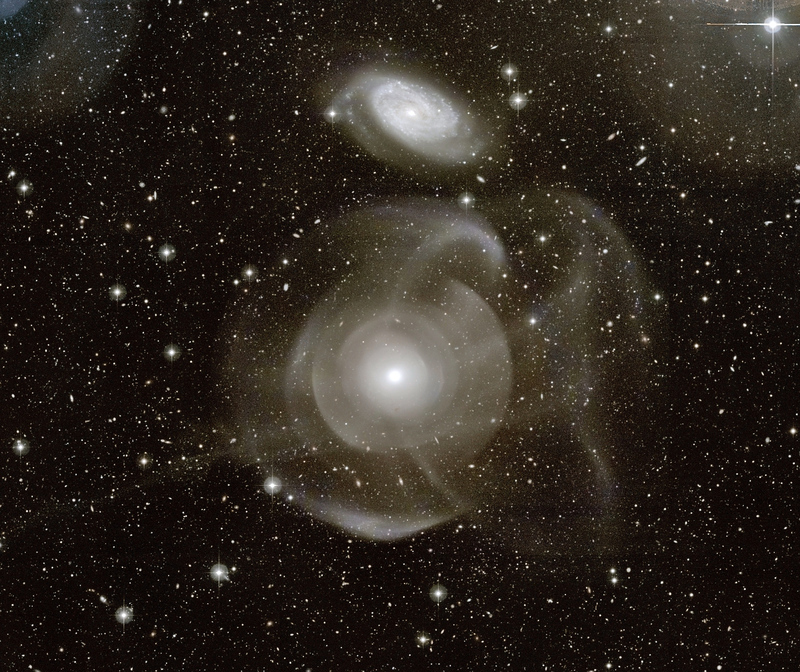 What’s happening to galaxy NGC 474? The multiple layers of emission appear strangely complex and unexpected given the relatively featureless appearance of the elliptical galaxy in less deep images. The cause of the shells is currently unknown, but possibly tidal tails related to debris left over from absorbing numerous small galaxies in the past billion years. Alternatively the shells may be like ripples in a pond, where the ongoing collision with the spiral galaxy just above NGC 474 is causing density waves to ripple though the galactic giant. 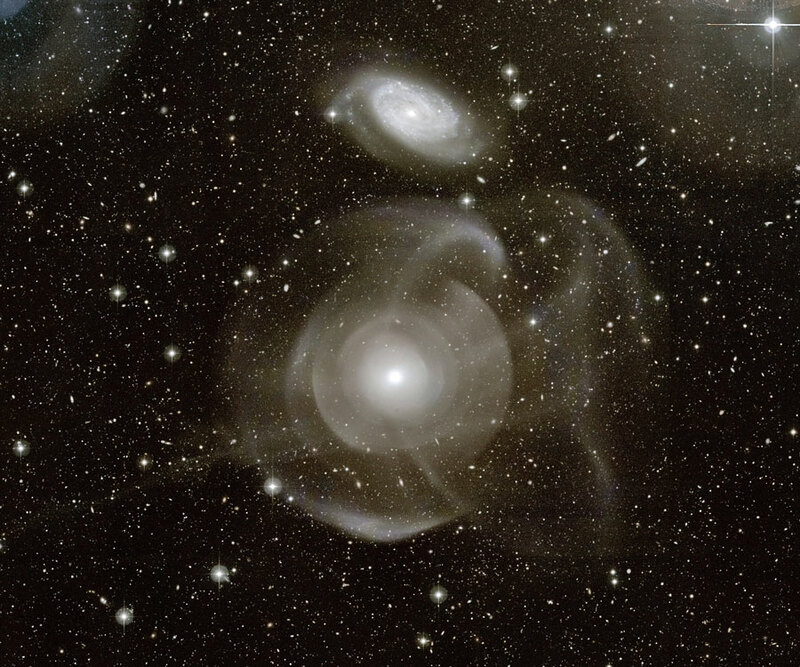 Regardless of the actual cause, the above image dramatically highlights the increasing consensus that at least some elliptical galaxies have formed in the recent past, and that the outer halos of most large galaxies are not really smooth but have complexities induced by frequent interactions with — and accretions of — smaller nearby galaxies. The halo of our own Milky Way Galaxy is one example of such unexpected complexity. NGC 474 spans about 250,000 light yearsand lies about 100 million light years distant toward the constellation of the Fish (Pisces).